"Just as lobsters are to Maine and crabs are to Maryland, the quahog is a symbol of Rhode Island." 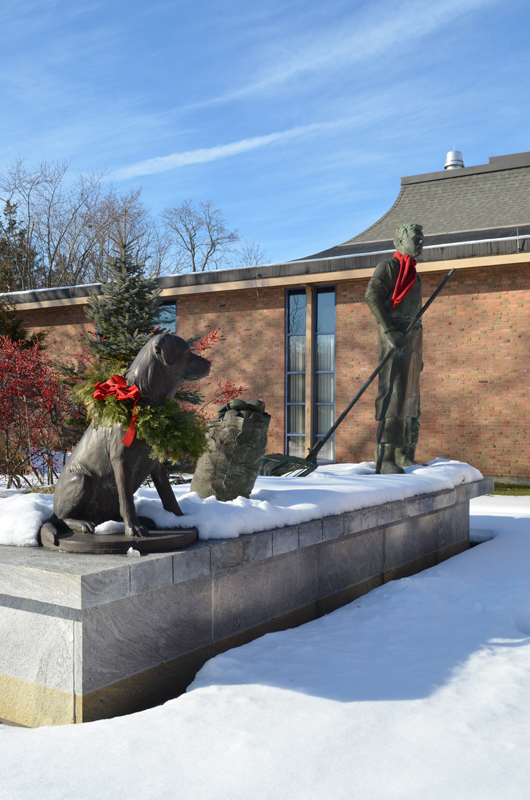 That massive statue—created by Antonio Tobias Mendez—depicts an eight-foot tall quahogger, his dog, and a couple of bags of quahogs. It’s a stunning celebration in bronze of one of Rhode Island’s signature economic and cultural icons. The quahog, a hard-shelled, edible clam known to marine scientists as Mercenaria mercenaria, inhabits waters along the Atlantic coast. The bivalve mollusk represents many things to Rhode Islanders: a delicious seafood treat, an entryway to memories of “shore dinners” and community and family clambakes, an industry crucial to the state’s economy, and, for many quahoggers past and present, memories of the backbreaking work of pulling quahogs out of the water and hoping for a good day’s catch. In fact, Rhode Island and quahogs are virtually inseparable. In addition to the courtyard statue, the library is spotlighting the importance of the quahog to Rhode Island with an informational display in the lobby. Text and images were supplied by the Warwick Historical Society. 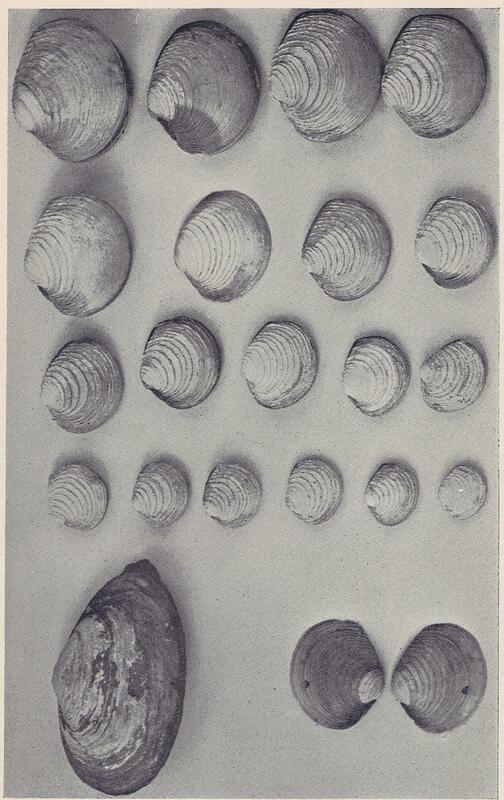 A 1902 photograph of clams from Greene Island, near Pawtuxet, shows a variety of quahog sizes. The quahog shell, which can range in color from white to deep purple, was used by the Narragansetts as currency. The darker the color of the shell, the more valuable the piece made from it. 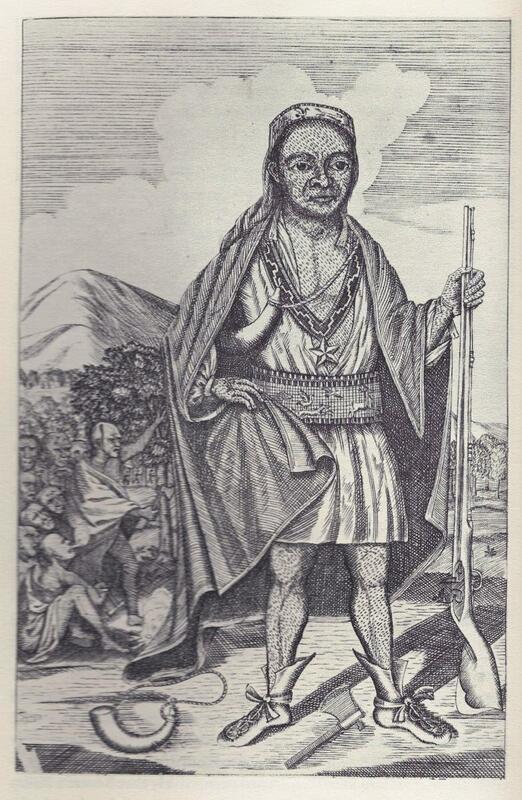 An image of a woodcut of Narragansett chief King Phillip shows a belt, necklace, and headpiece made of wampum. The area comprising Warwick, West Warwick, and Coventry – about 100,000 acres) was purchased in 1642 from Canonicus, chief of all Narragansetts, and his nephew Miantonomi for 144 fathoms of wampum – about $108. 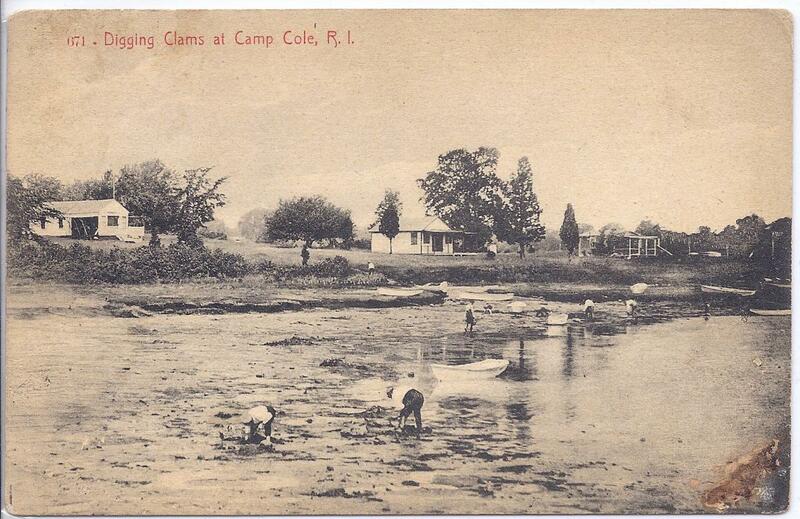 A postcard shows the popular pastime of clam digging at Cole’s Farm in Hoxsie at the turn of the last century. Everyone who ate clams had their favorite digging area and gathered as many quahogs as they could to eat. 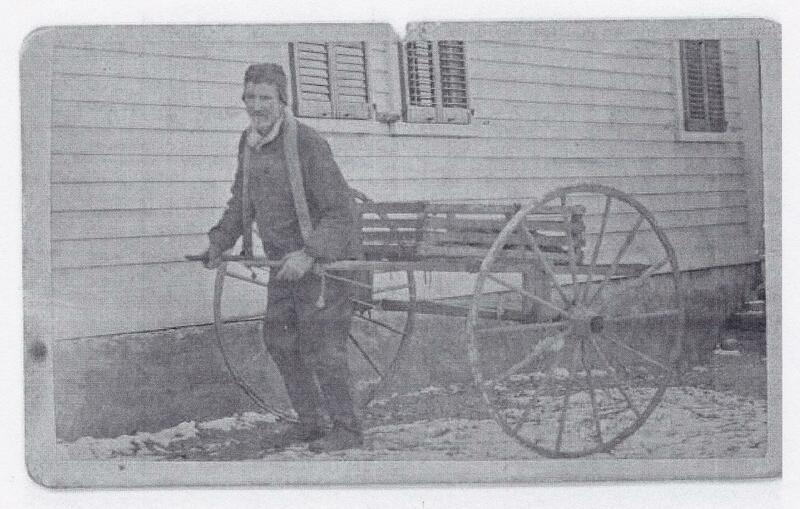 Charlie Cutter (c.1880) was a well-known Buttonwoods clam digger. Charlie would load up his wagon and sell clams in and around the Buttonwoods neighborhood to citizens who preferred to by clams rather than dig their own. Clams are baked on stones in a fire pit between layers of seaweed. Popular spots for commercial clambakes in Warwick included Oakland Beach, Buttonwoods, and Rocky Point amusement park (c. 1910). 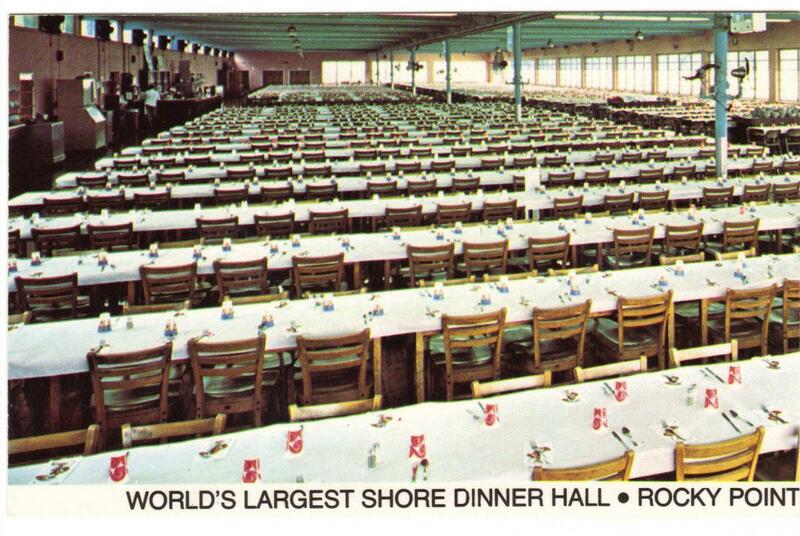 Rocky Point had the world’s largest and most famous shore dinner hall, big enough to feed 10,000 people a day. 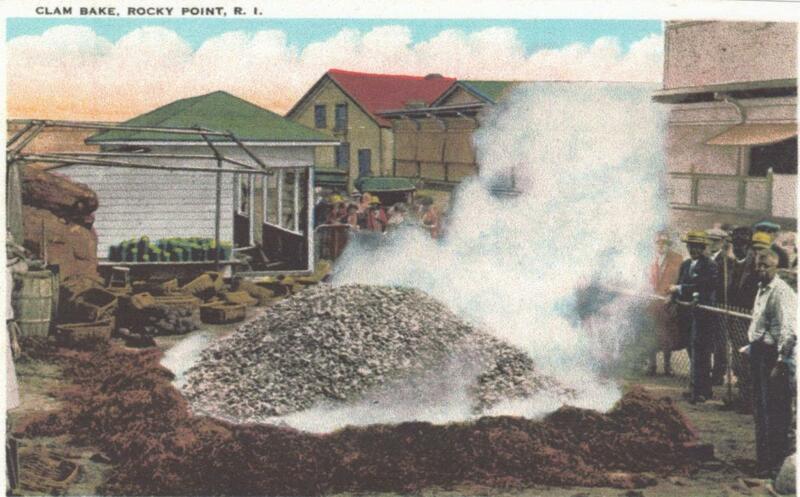 In 1877, President Rutherford B. Hayes enjoyed a clambake at Rocky Point.